Never Idle in the Garage – running cars or generators in attached garages create poisonous CO that can creep into your home. 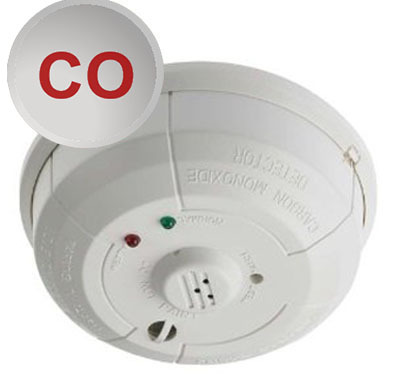 Carbon Monoxide Detectors – Replace batteries and test every 6 months. Recommend in bedrooms, hallways, and near your furnace. Professional Furnace Tune-up – Maintain your system’s safety, reliability, and efficiency. Verify safe venting and the integrity of the heat exchanger. Vent-Free Gas Fireplace – Some manufacturers recommend opening a window during operation. Check your owner’s manual or consult a professional. Replace Aging CO Detectors – Sensors wear out and lose sensitivity. Replace between 2-6 years per your owner’s manual. Consult your Shiver Security Systems Account Manager. Consider Furnace Replacement – Typical lifespan is 15 years and newer systems are safer and more efficient. Would you like more information about protecting your family from carbon monoxide? Call us today.